Receantly I got interviewed by Record Union. They are an online music service company with laidback mentality. I mean just visit the website. 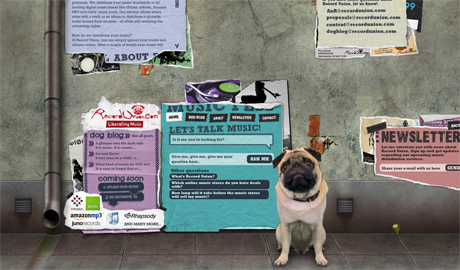 IT'S A DOG ANSWERING YOUR QUESTIONS! Read the full interview here. (I will paste it on my blog tomorrow). Today is a very exciting day. 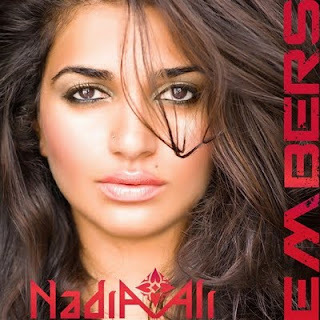 Nadia Ali releases her album "Embers". Except that I am a big Nadia Ali fan, I am also very proud to have contributed 3 tracks on the album: "Fine Print" that is her latest single, "Point The Finger" that is Nadia's favourite track and "Ride With Me" that I hope also becomes a future single. Listen to the album and let me know if you can hear any difference in the productions. or if you live in another country just search for "Nadia Ali Embers"